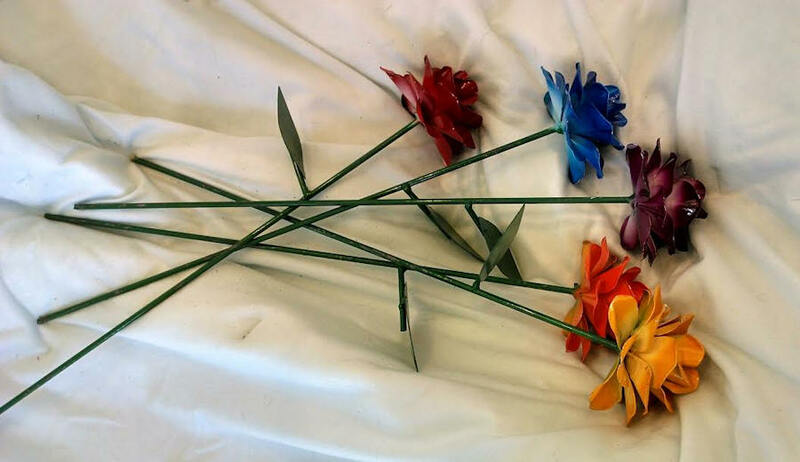 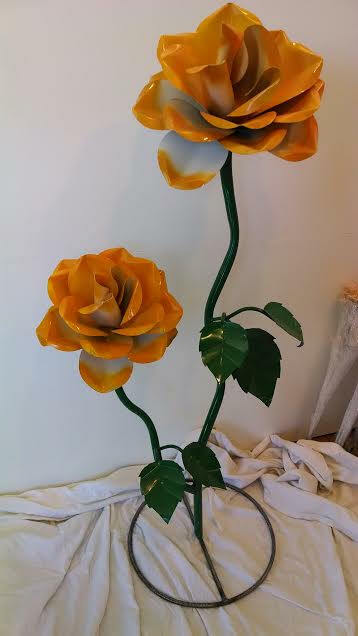 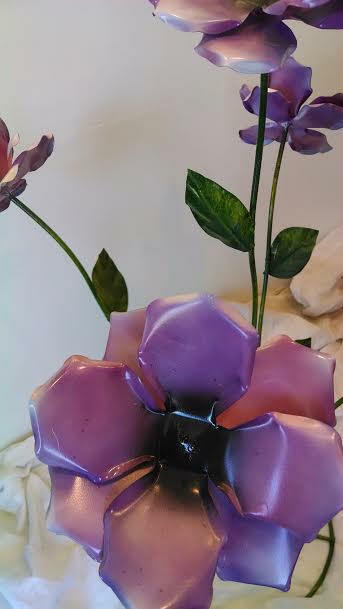 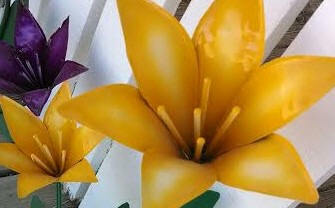 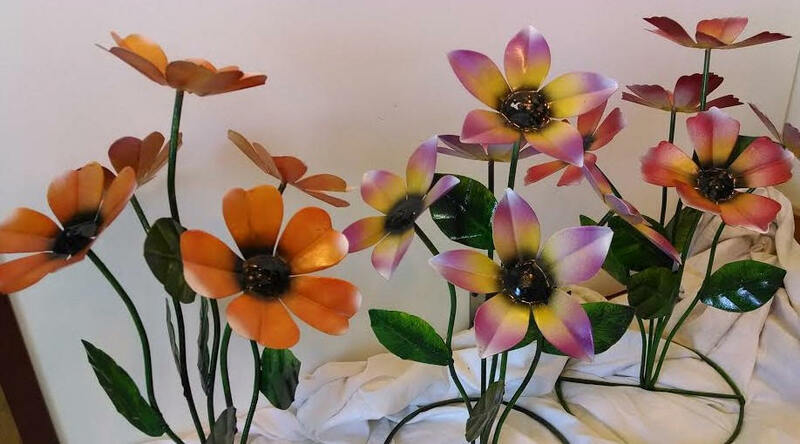 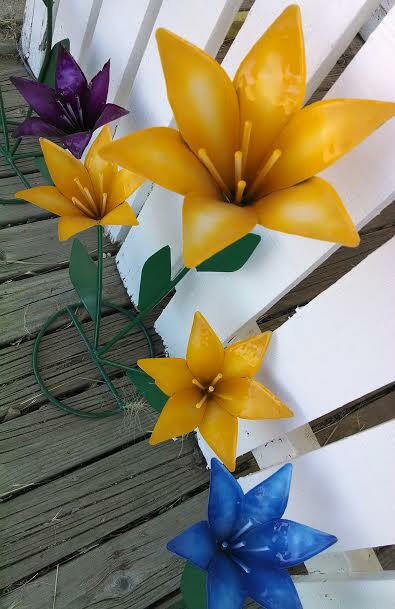 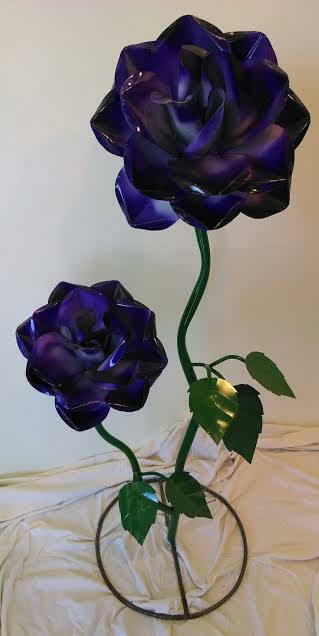 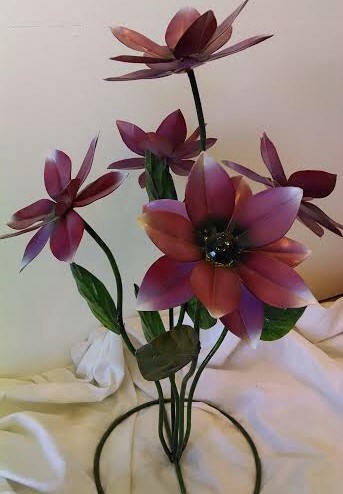 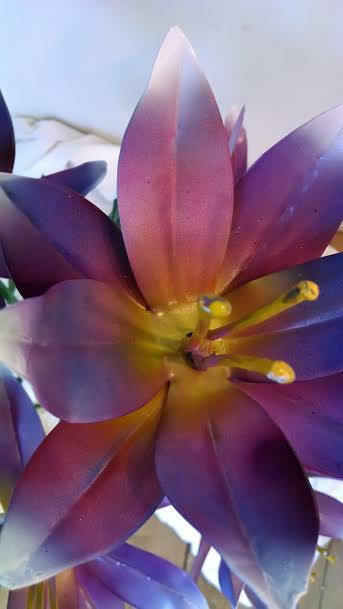 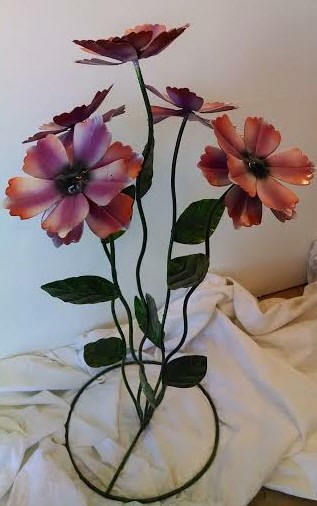 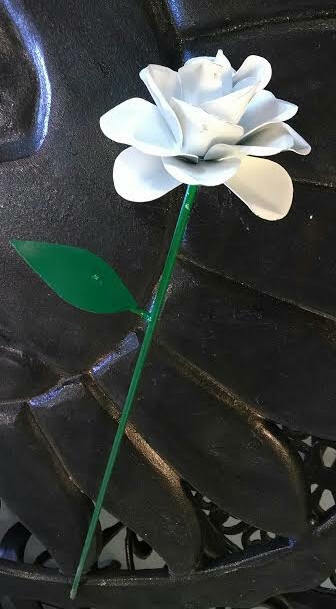 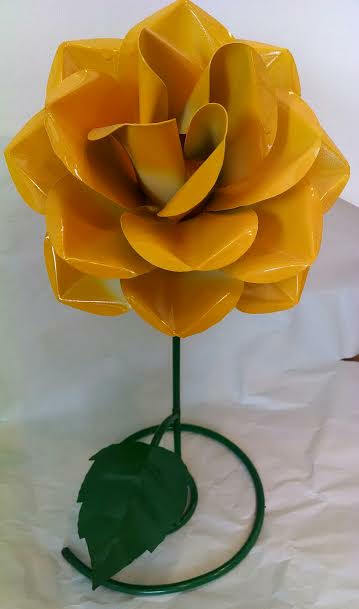 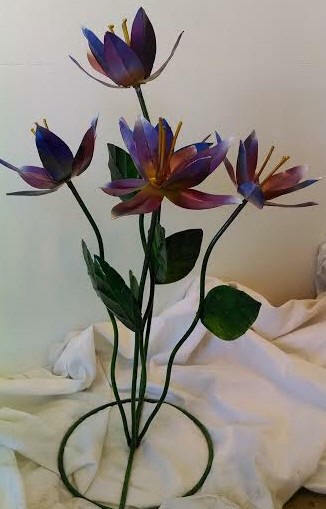 Gift-giving or garden embellishment, you will absolutely love Statue-Esque Forever Flowers. 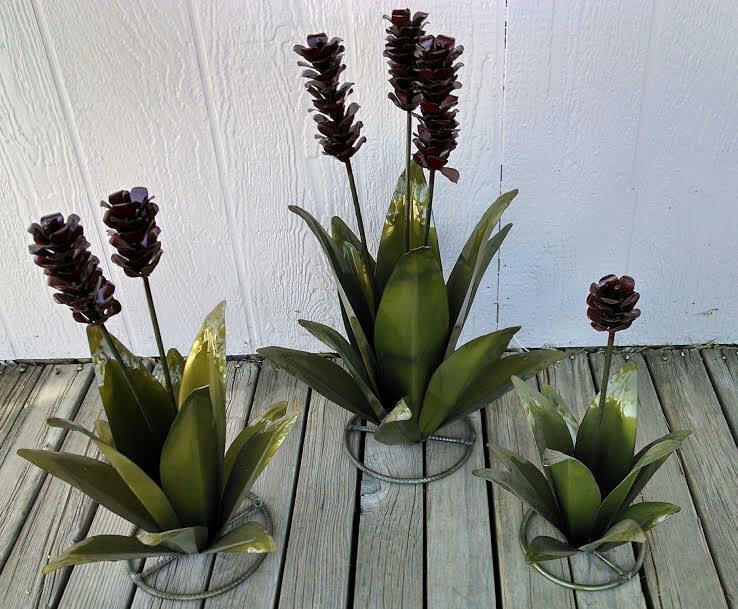 As the name implies, these beautiful horticultural hallmarks add phenomenal style to lovely landscaping, and will last season after season without the unpleasant task of upkeep. 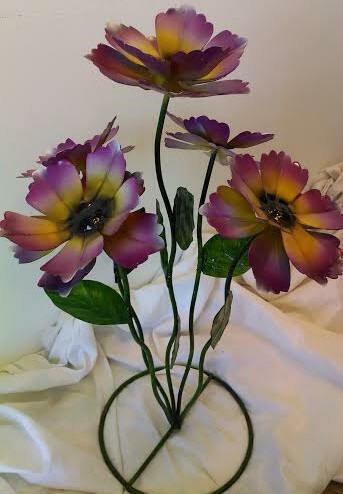 These are definitely proven fun florals with fabulous flair. 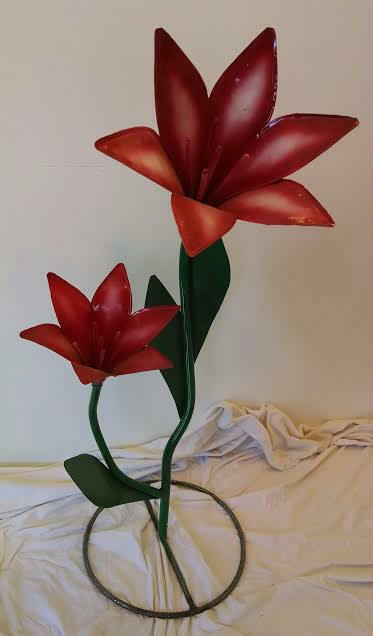 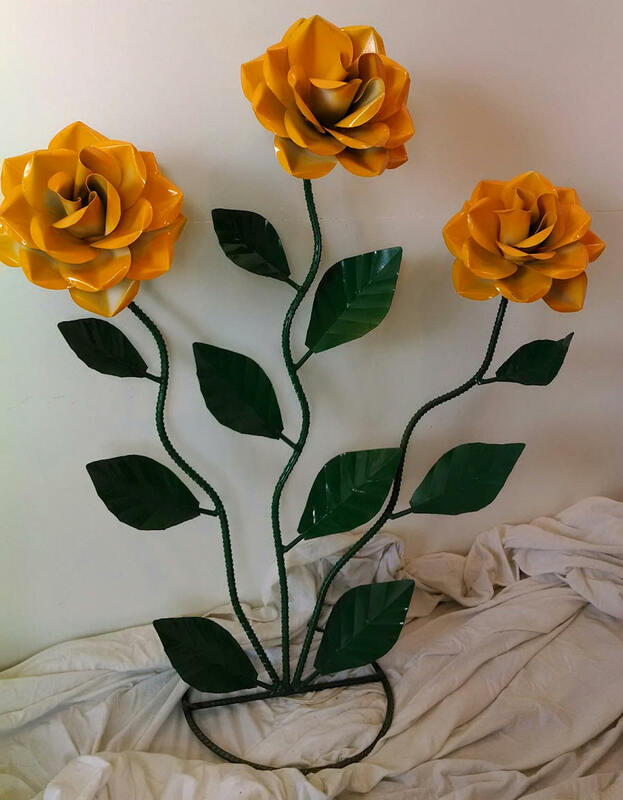 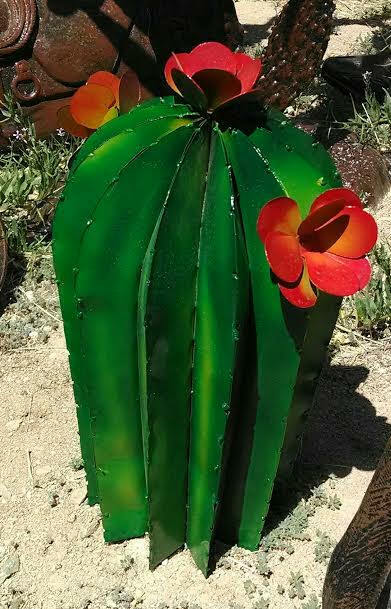 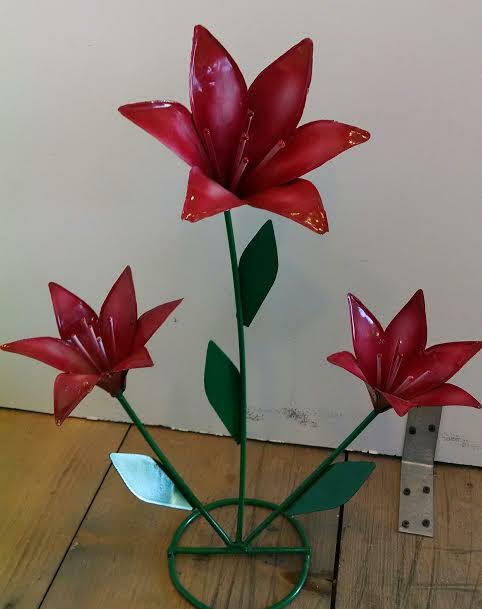 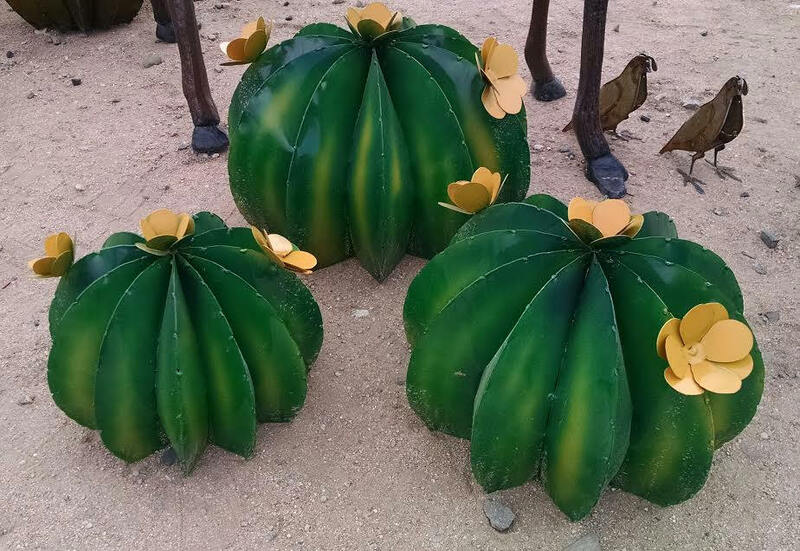 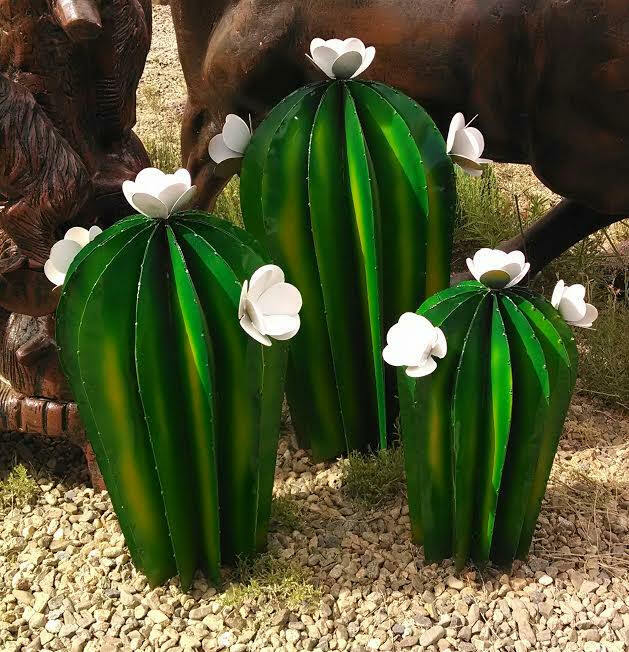 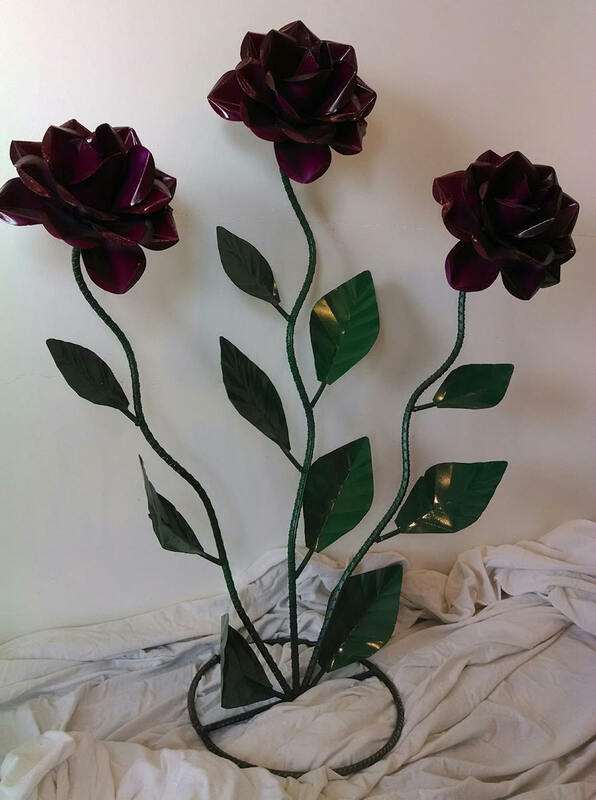 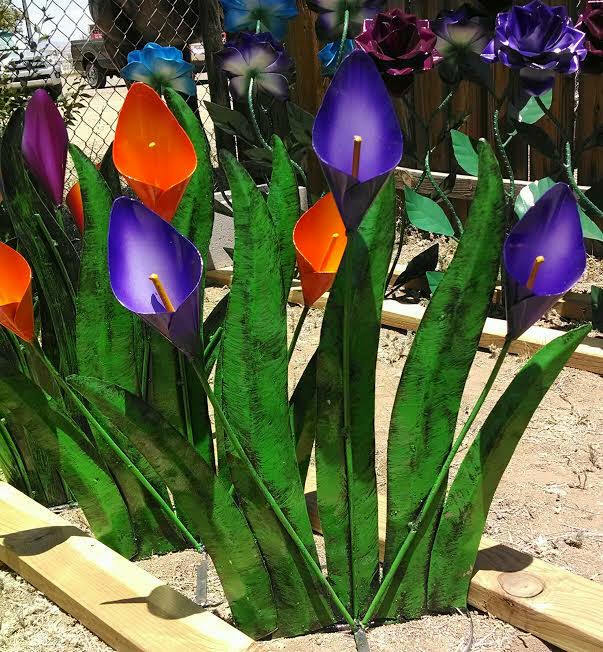 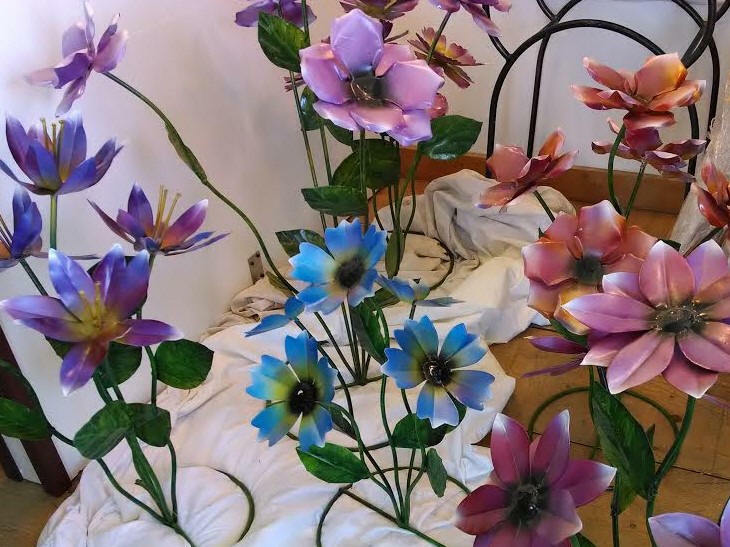 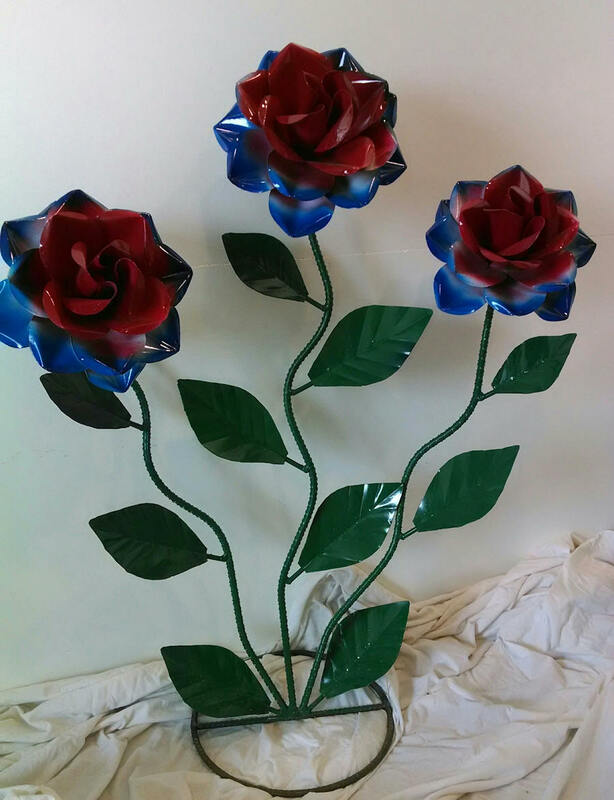 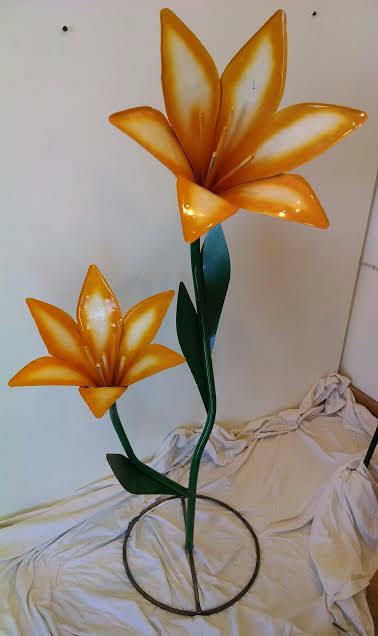 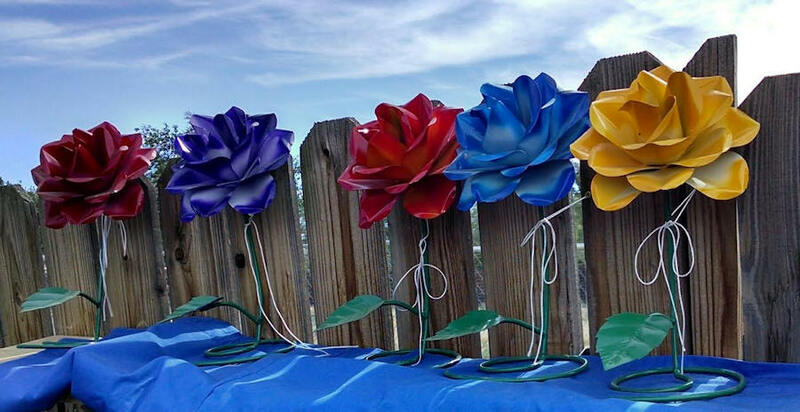 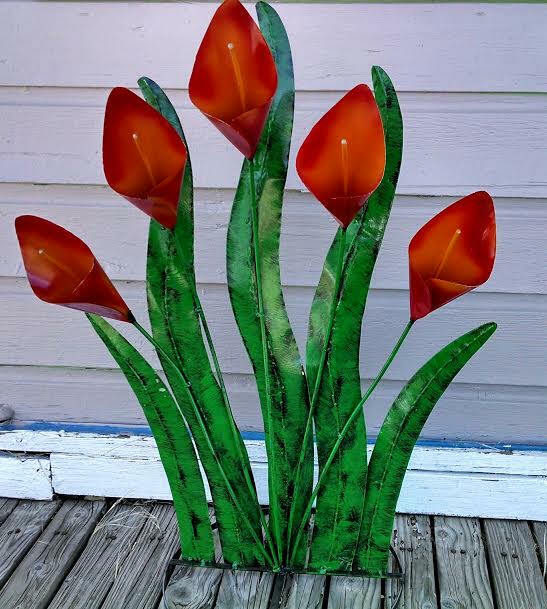 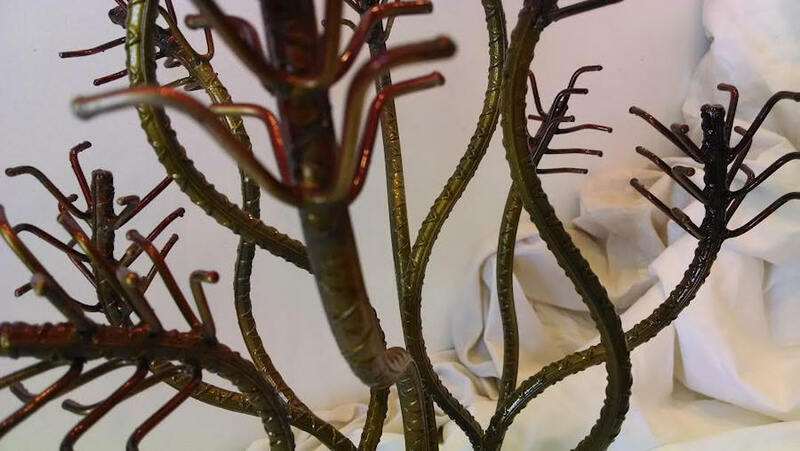 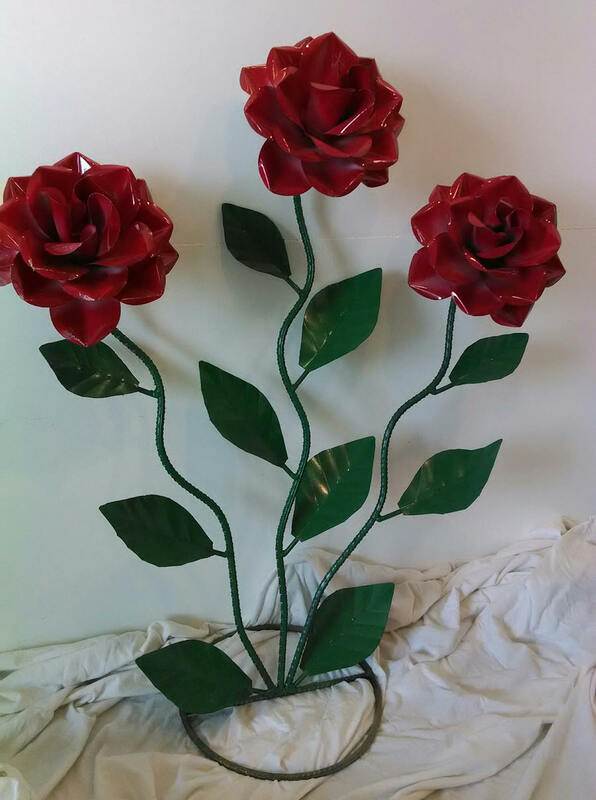 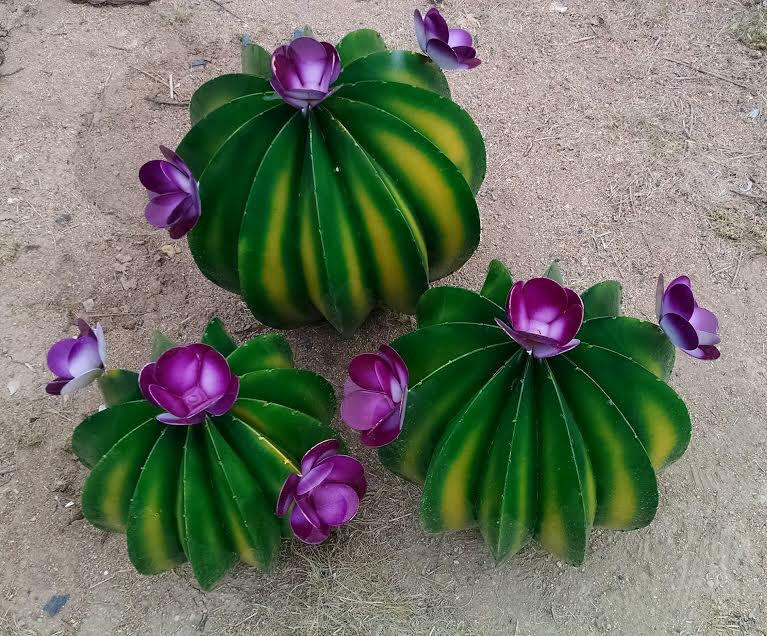 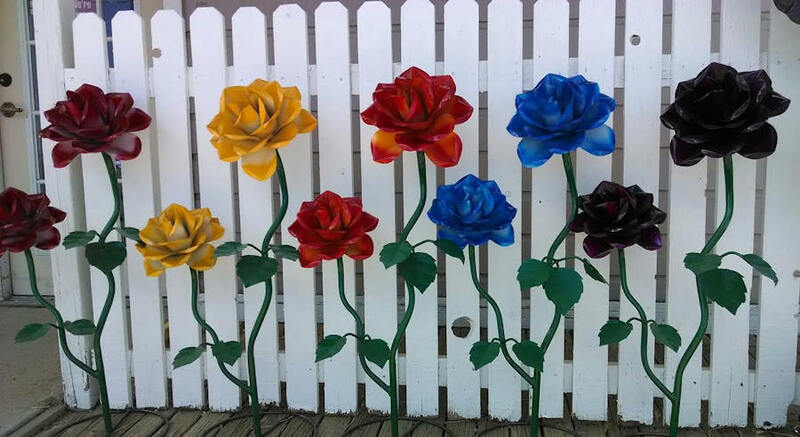 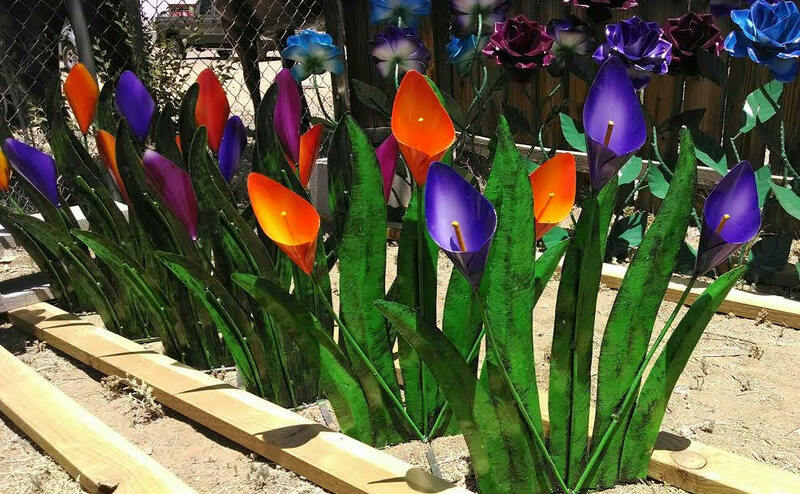 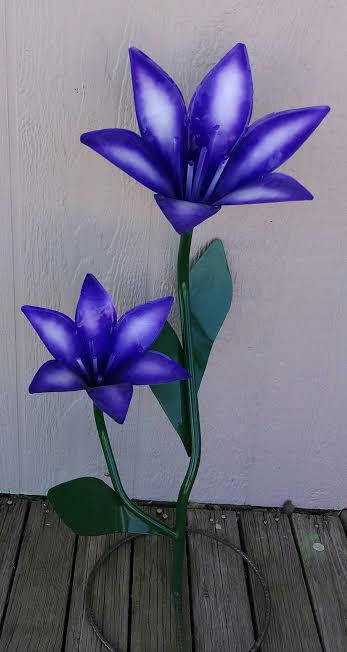 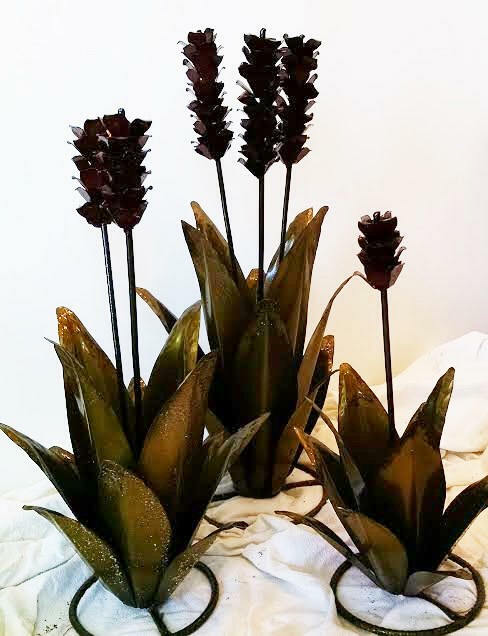 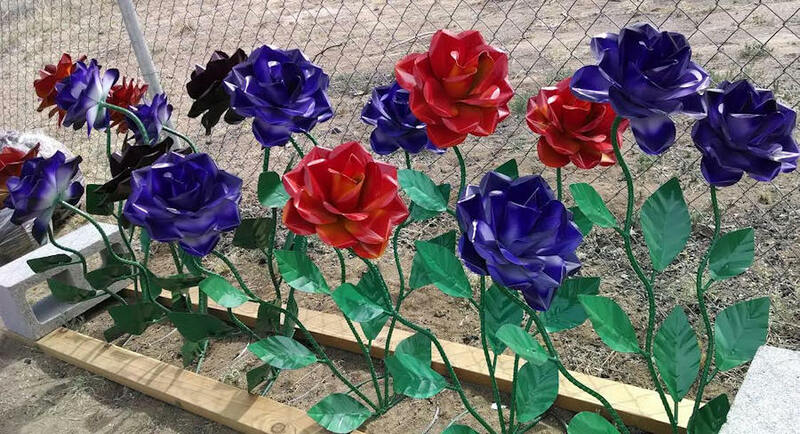 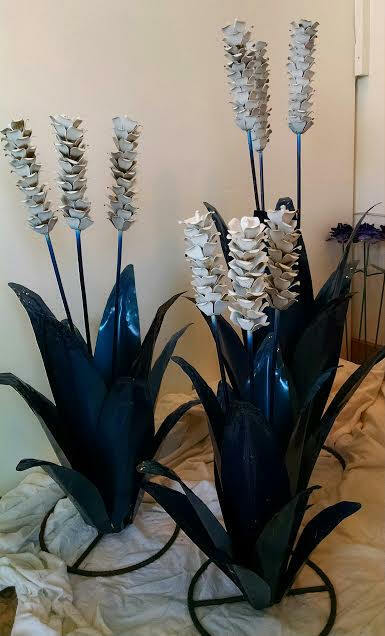 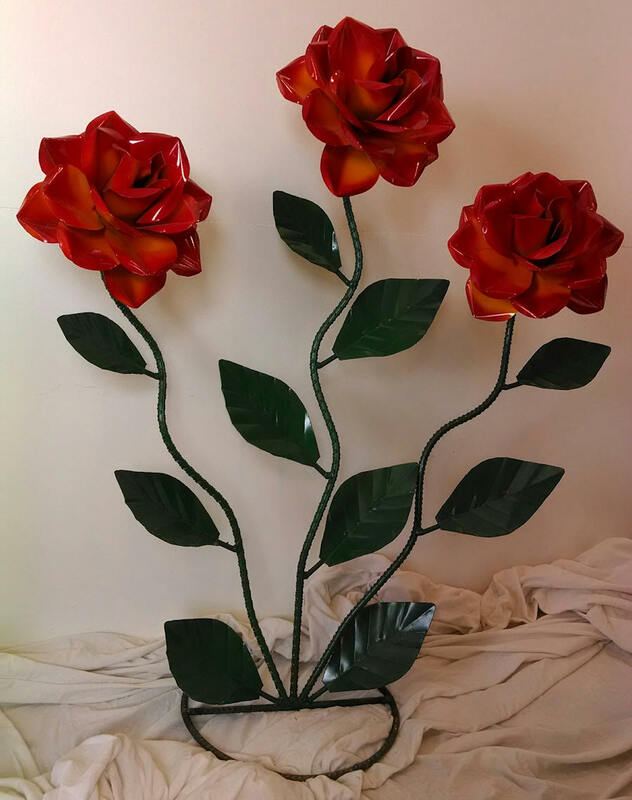 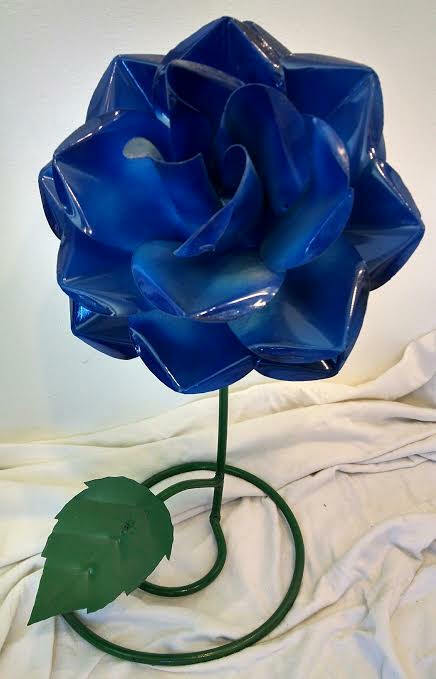 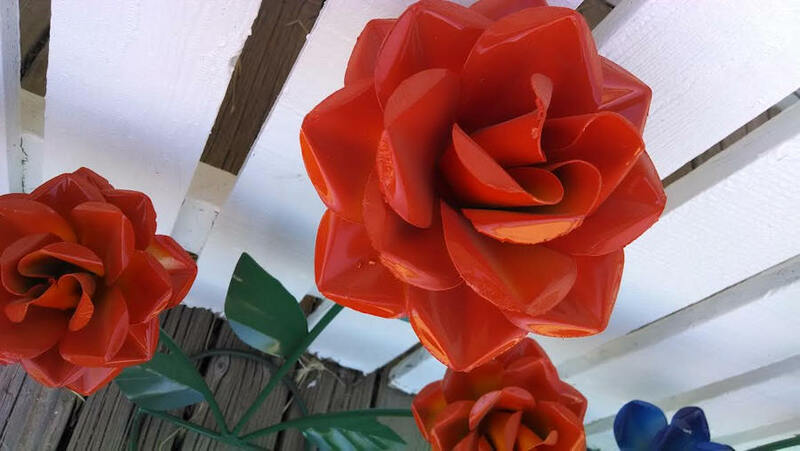 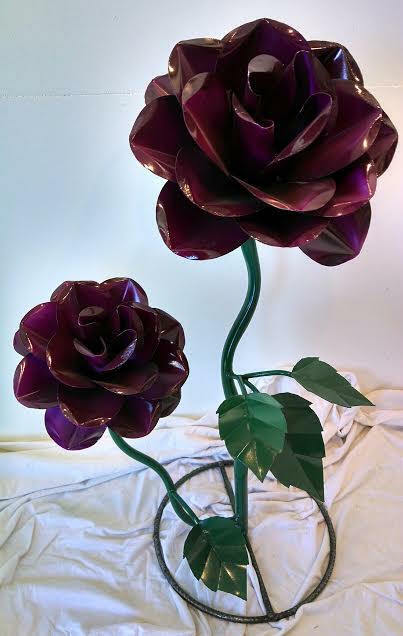 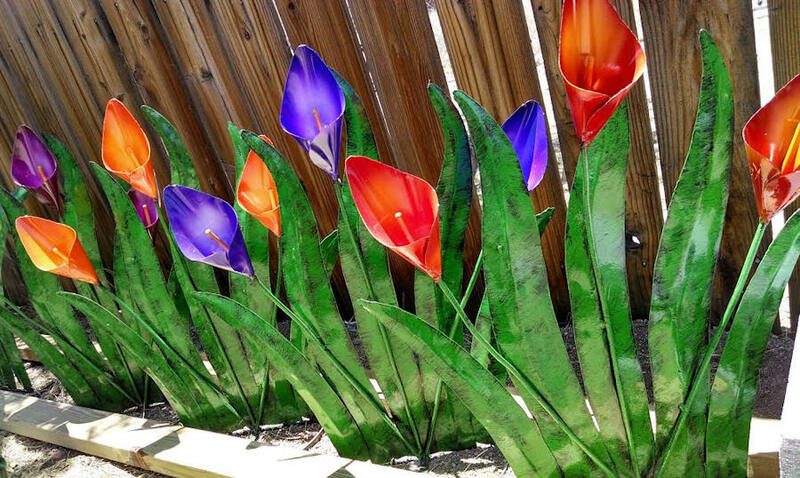 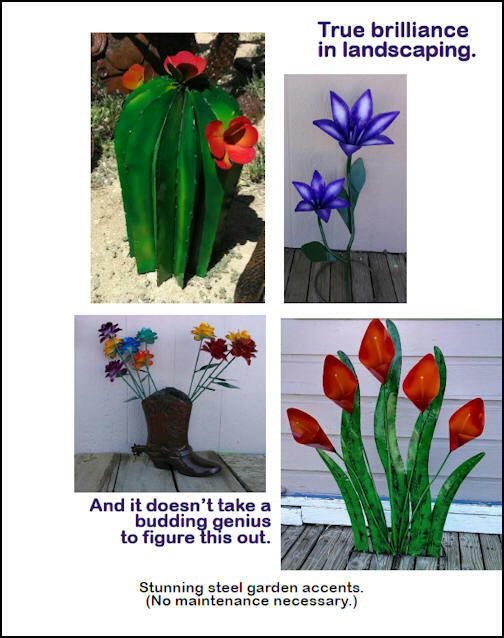 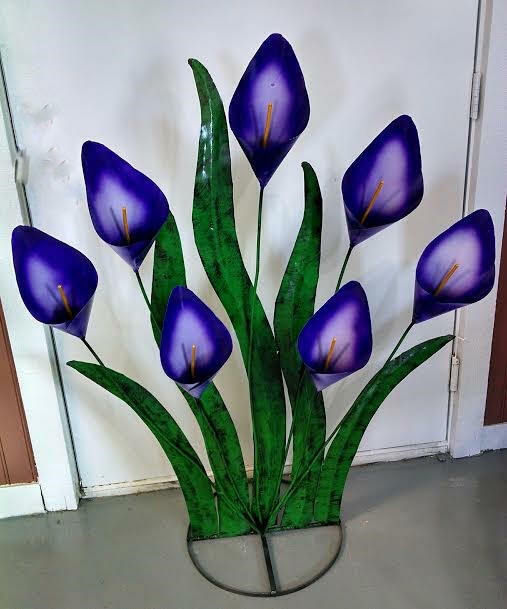 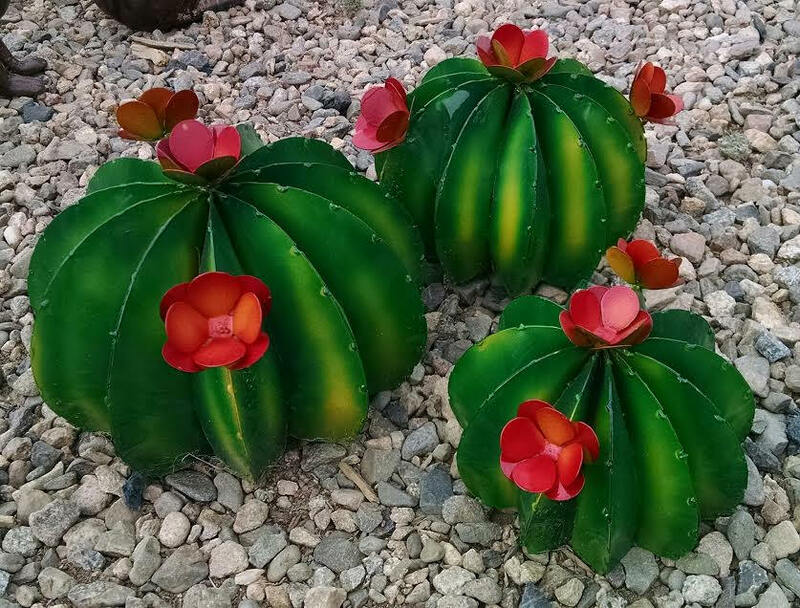 Painted steel using preeminently durable automotive paint in beyond-vibrant colors for roses, lilies, canna lilies, even blooming cactus, ocotillo and agaves. 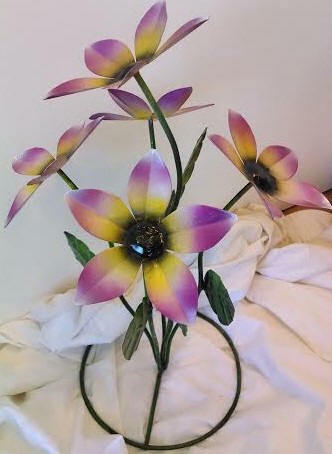 Many styles are popular and appropriate for memorial gifts. 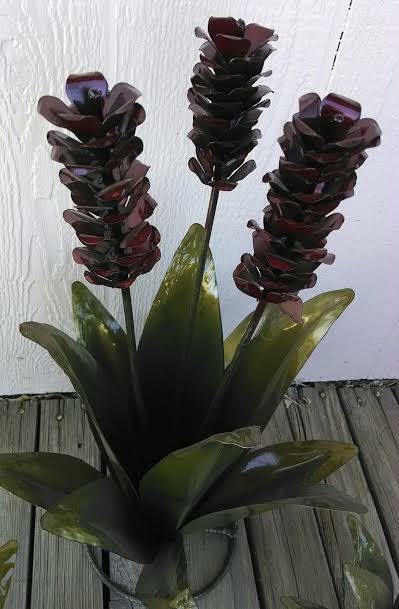 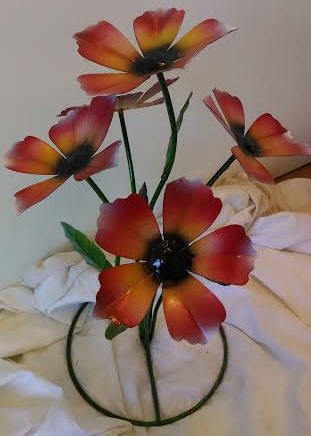 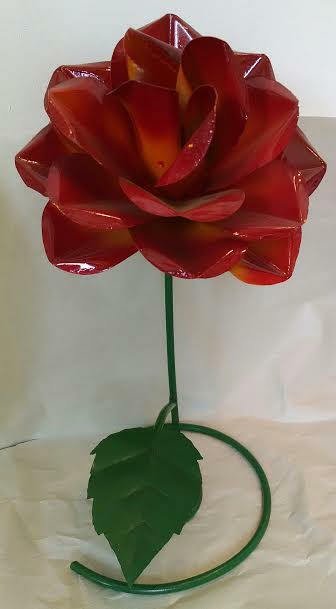 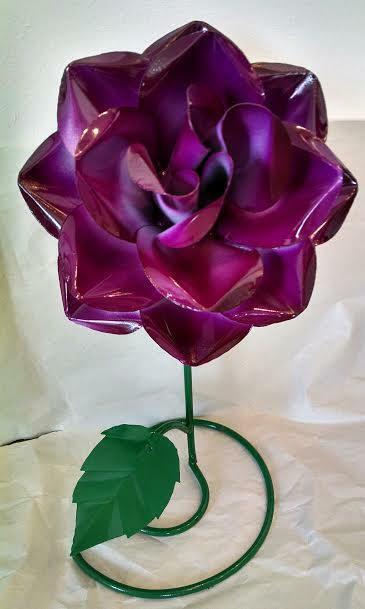 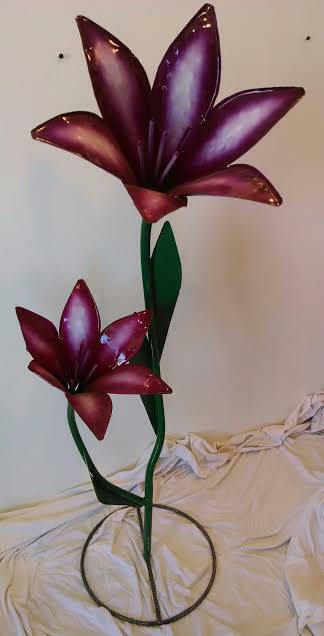 Available in Olive Green with Magenta Blooms, Natural Green with Orange, Pink, Purple, Red or Yellow Blooms. 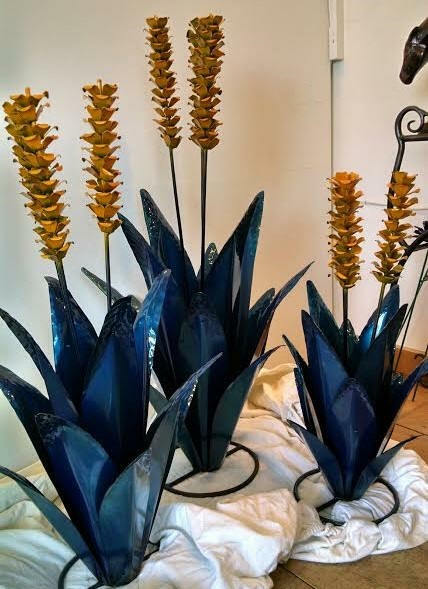 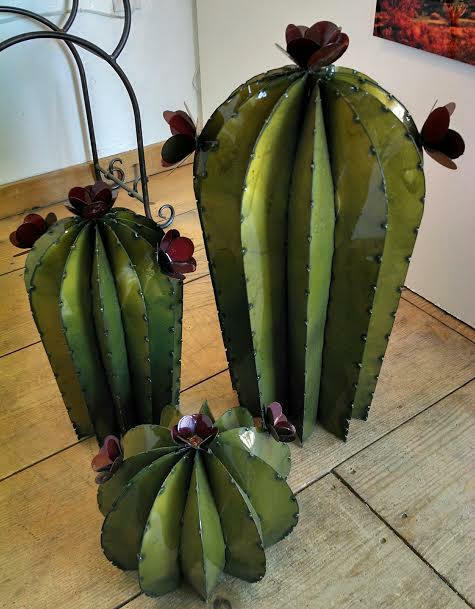 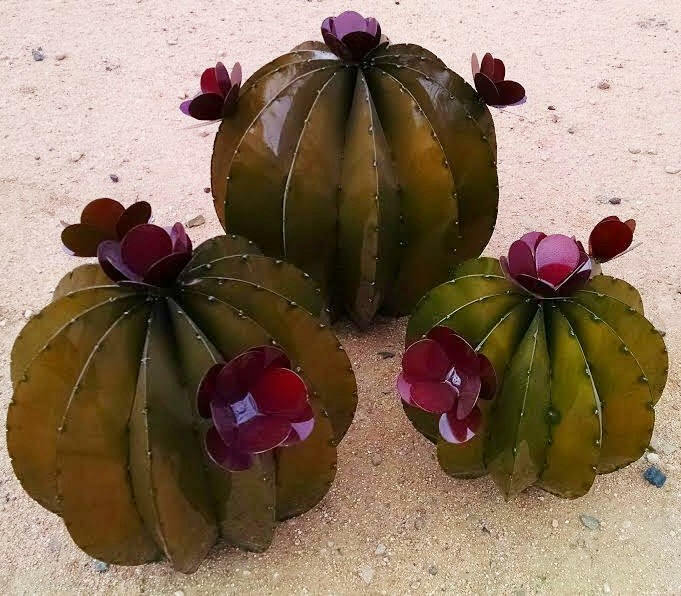 Available in Olive Green with Magenta Blooms, or Blue Agave with White Blooms or Golden Yellow Blooms. 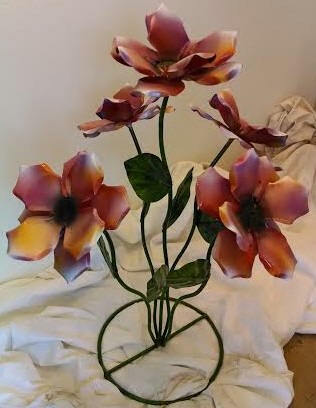 Gorgeous designer appeal. 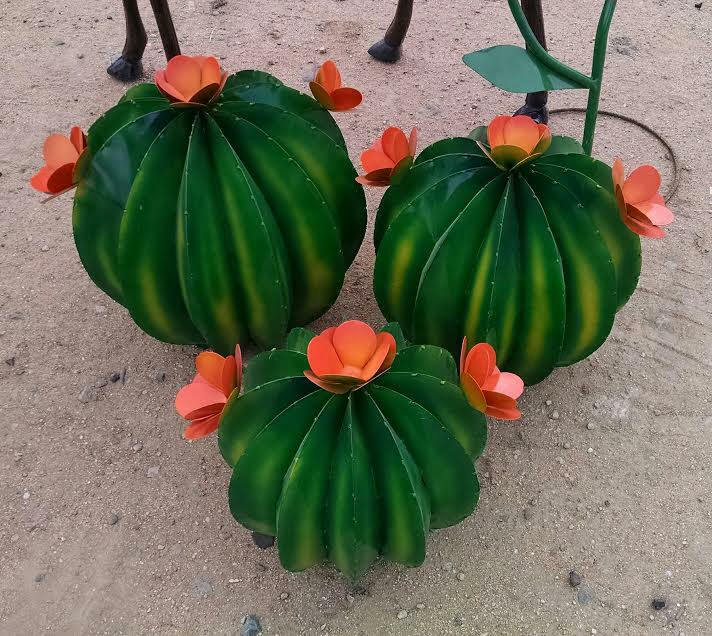 Small Set: Sm. 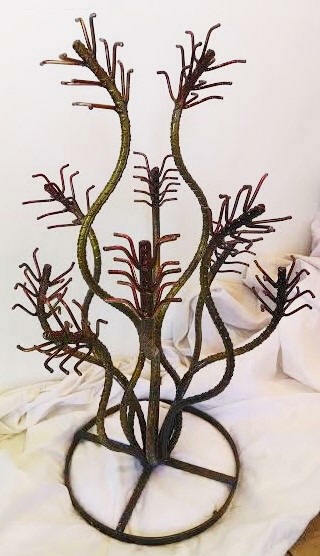 1 ft., Med. 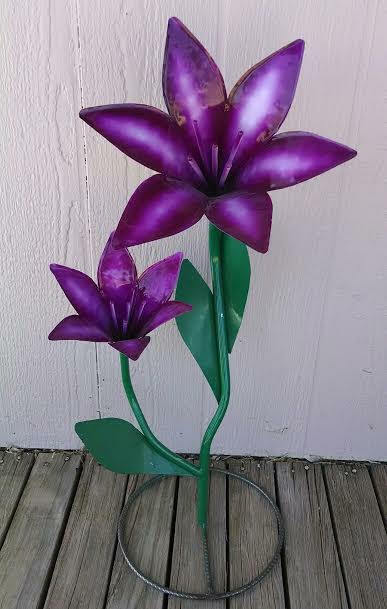 18", Lg. 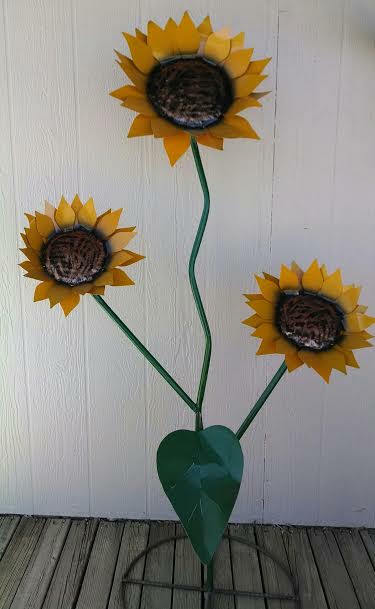 2 ft.
Large Set: Sm. 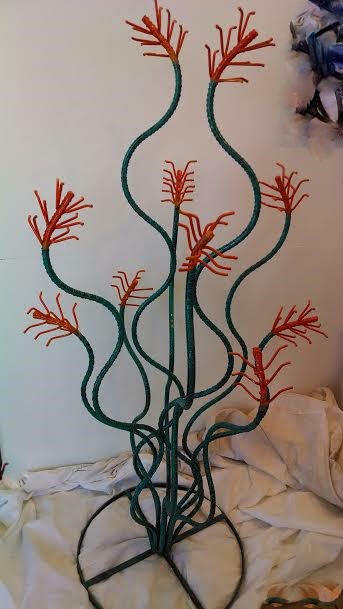 2 ft., Med. 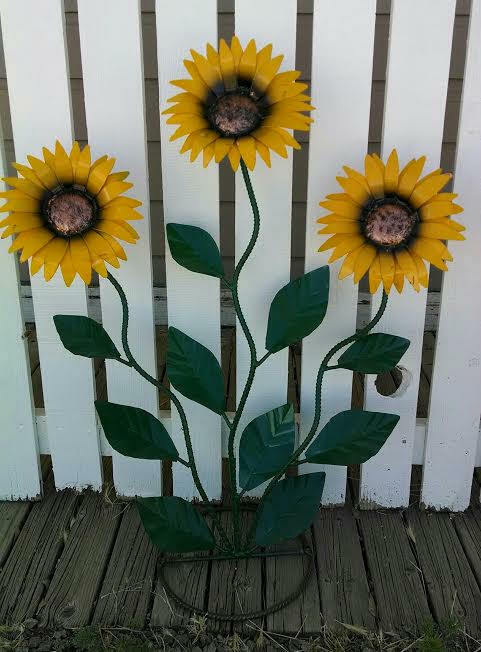 2 1/2 ft., Lg. 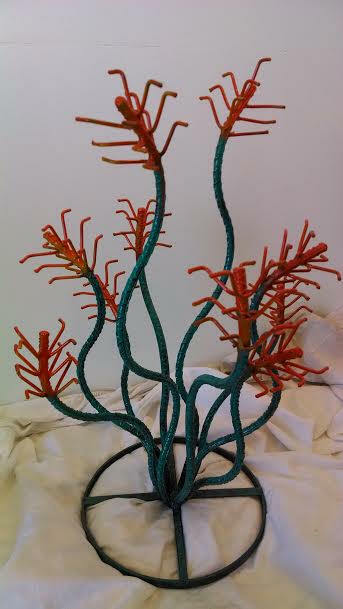 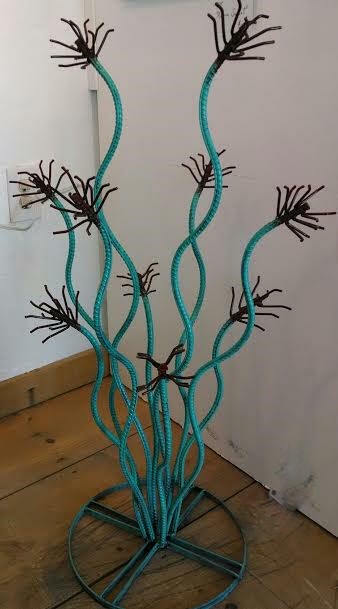 3 ft.
Ocotillo in Small, Medium or Large Sizes. 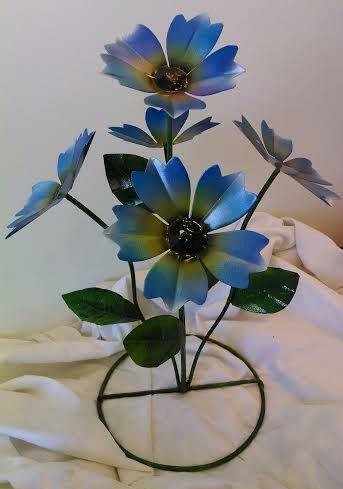 Available in Turquoise Shade with Orange Blooms, Turquoise Shade with Red Blooms or Olive Shade with Magenta Blooms. 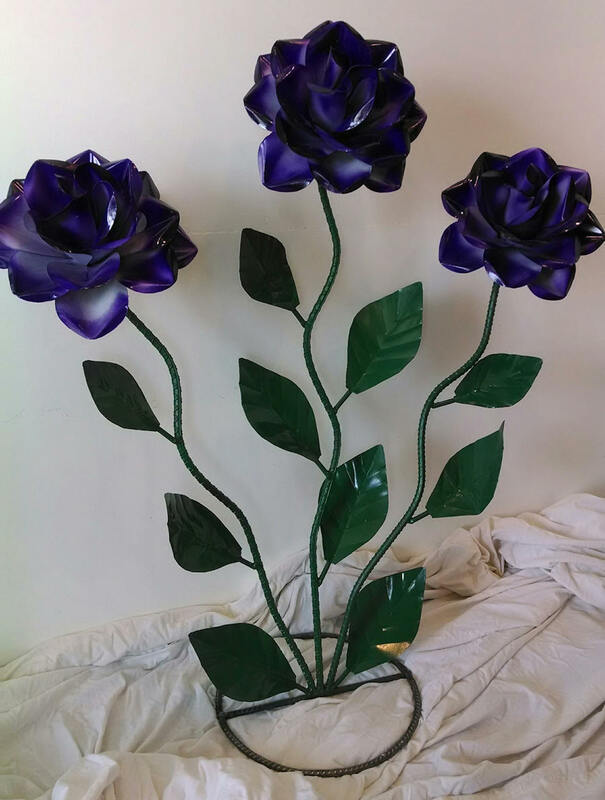 Each, a beautiful designer favorite. 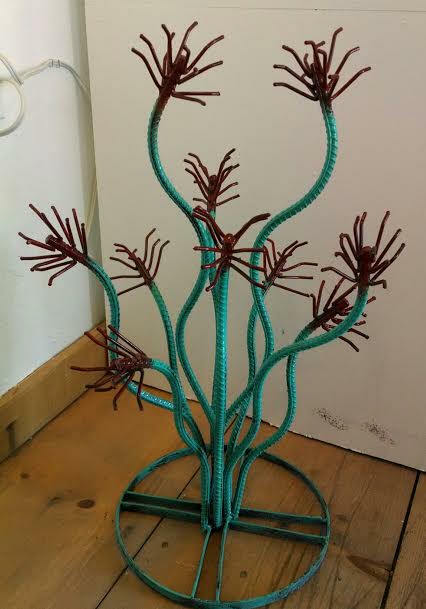 Small, 20" - Medium, 28" - Large, 34"